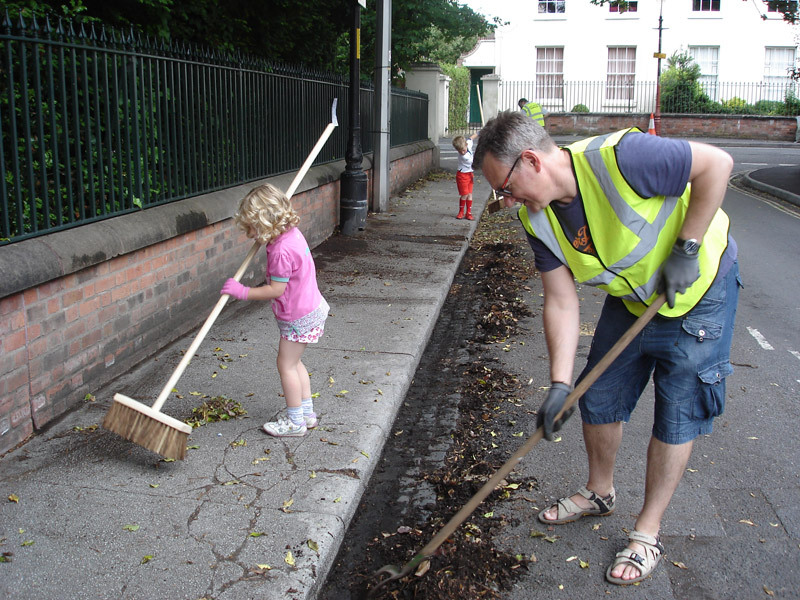 Worcester City Council once again supported our award-winning street cleaning event in 2015, with extra staff and equipment. 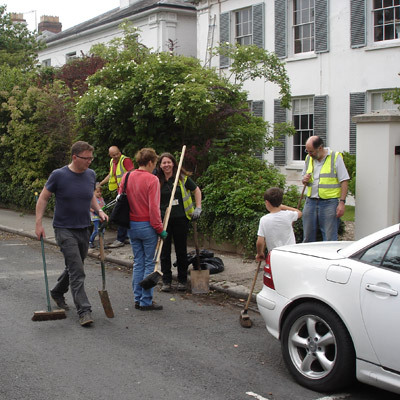 The streets were cleared of cars so that residents were able to sweep, weed and enjoy tea and cakes together on Sunday afternoon. 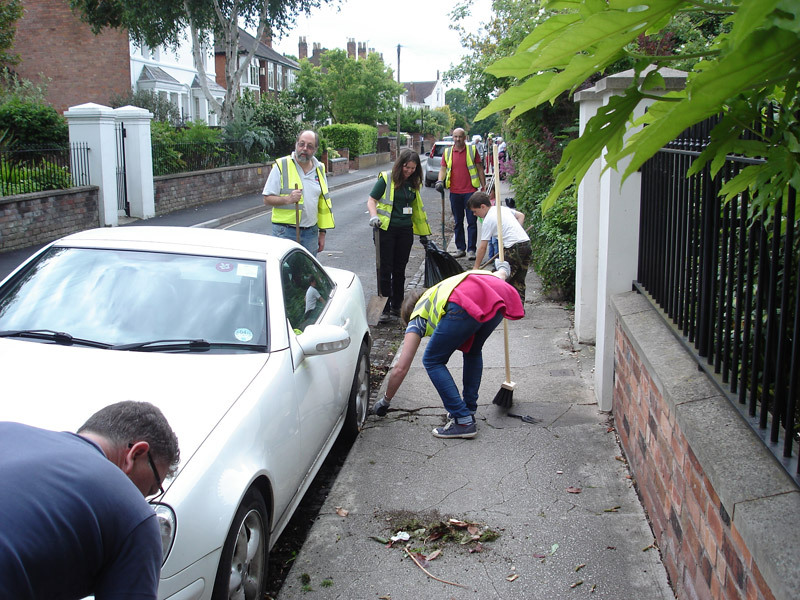 On Monday, Council staff performed a deep clean and drain clearance to complete our street spring clean.